Researchers have found that the rise in temperatures is resulting in ice melting on the West Antarctic shelf. The ice cap on the southern continent, which is about 2100 metres in thickness, and contains 70 percent of water on earth that is fresh, could raise the global seas by 60 metres. The lead author of the research, Sunke Schmidtko said, “There are many large glaciers in the area and the elevated temperatures have accelerated the melting and sliding of these glaciers in recent decades and there are no indications that this trend is changing.” The study was published in journal Science. The researchers from the University of East Anglia, the the California Institute of Technology and the University of Hokkaido, Japan, together did an evaluation of all the oceanographic data, from the water bodies which have been around the Antarctica from 1960 till date. The available databases were all public, show that around 50 years ago, seas were already warmer in the West Antarctica, more than the other parts of the continent. 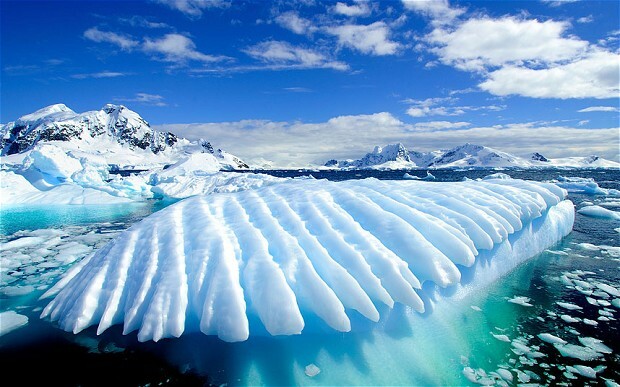 “These waters have warmed in West Antarctica over the past 50 years. And they are significant shallower than 50 years ago,” says Schmidtko. “These are the regions in which accelerated glacial melting has been observed for some time. We show that oceanographic changes over the past 50 years have probably caused this melting. If the water continues to warm, the increased penetration of warmer water masses onto the shelf will likely further accelerate this process, with an impact on the rate of global sea level rise ” explains Professor Karen Heywood from the University of East Anglia. The data collected makes it clear that since 1960, the temperatures of Amundsen Sea and Bellinghausen Sea have been rising. There is also greater depth around Antarctica along the continental slope, with the water bodies having temperatures of around 0.5 to 1.5 degree Celsius, which is very high for the Antarctic region. There are too many Congressional republicans that deny there’s a climate change crisis? It’s a rejection of reality. The near global melt-down is just one of the effects of our warming world. Join the efforts to get them to deal with this very real crisis. Apathy/inaction effectively advocates more of the same destructive behaviors. We can’t afford it.